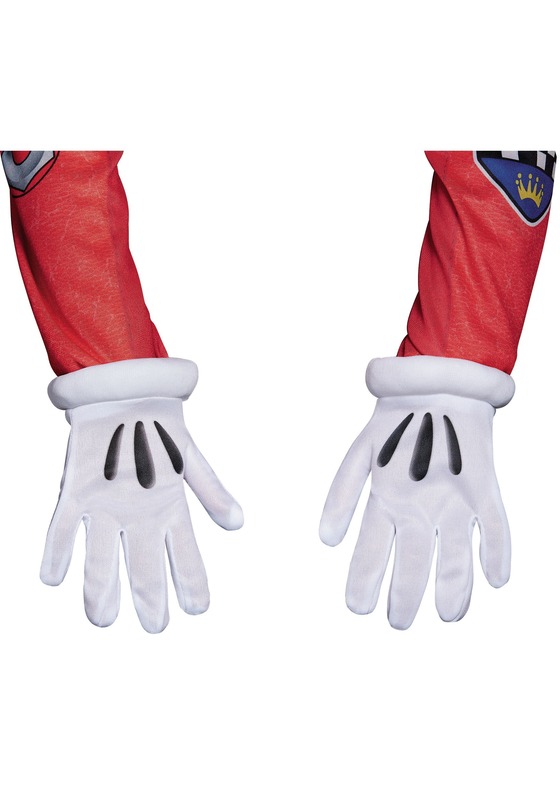 When you think of Mickey Mouse you probably don't immediately think, "Pro Racer." But, according to Mickey and the Roadster Racers on Disney Junior, you would be wrong! Well, maybe not wrong. That mouse IS almost ninety years old, which means he probably shouldn't be driving on the regular... except animation transcends time (and logic) and hence, we have this awesome Mickey Roadster costume for toddlers. Now that we think about it, toddlers probably shouldn't be driving, either. Unless they're unusually tall like Goofy, most toddlers' feet can't even reach the pedals! Or see over the steering wheel. And they definitely lack the ability to memorize the rules of the roads. Or read important things like "STOP" and "Duck Crossing." Sorry, Donald! Okay, we're just having fun. 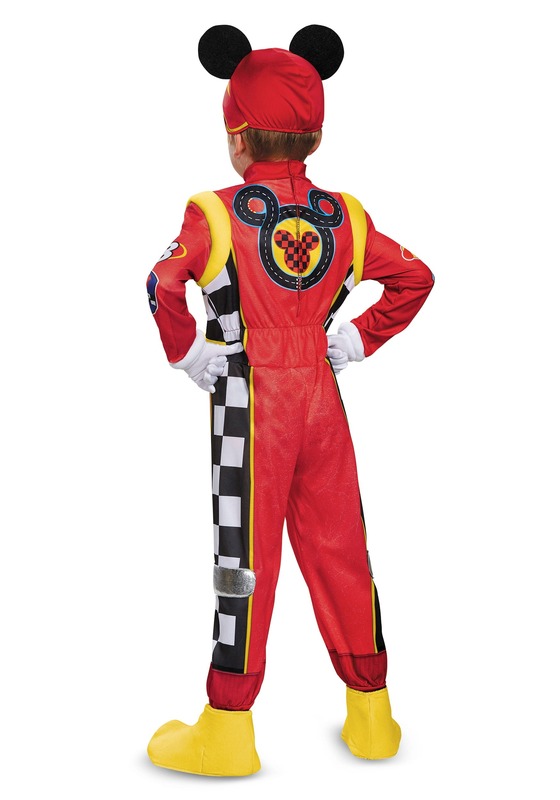 Kids LOVE this new Disney Junior show, and we think this officially licensed costume is really going to be just what your little racer wanted. This jumpsuit has TONS of cool details that kids will love. Awesome mouse ear icons that have been reimagined with car stuff like wrenches and flames. It's also got the number 28 on the chest, which is probably a sly reference to the year Mickey debuted... 1928! Nice one, animators. There are racing checkers down the side, and to top it all off there is an ear hat "helmet," which transforms your little speedster into the BIG CHEESE himself... Mickey Mouse! 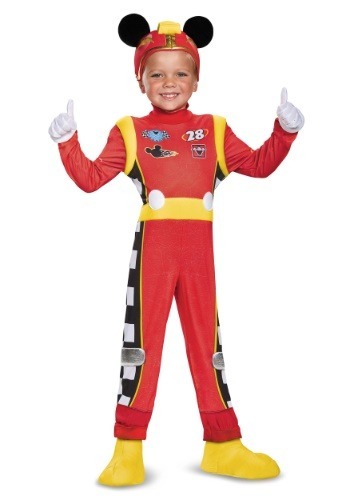 Yep, it's safe to say they're going to love pretending to race around the track in this costume no matter what time of year it is. What's that? Oh boy, that flag is about to DROP!